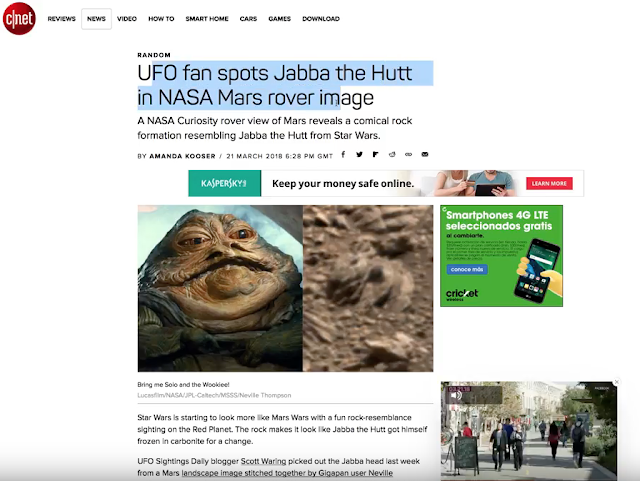 March 22, 2018 I reported Jabba The Hutt head I found on Mars. Got on Yahoo front page and CNET. UFO Sightings Daily made it on Popular Mechanics this week. I found a troop transport ship on the moon and the story quickly went viral. We made it on Taiwan TV News...my home! I have stopped updating this section only because UFO Sightings Daily is now in the news with 4-10 agencies around the world every 24 hours. 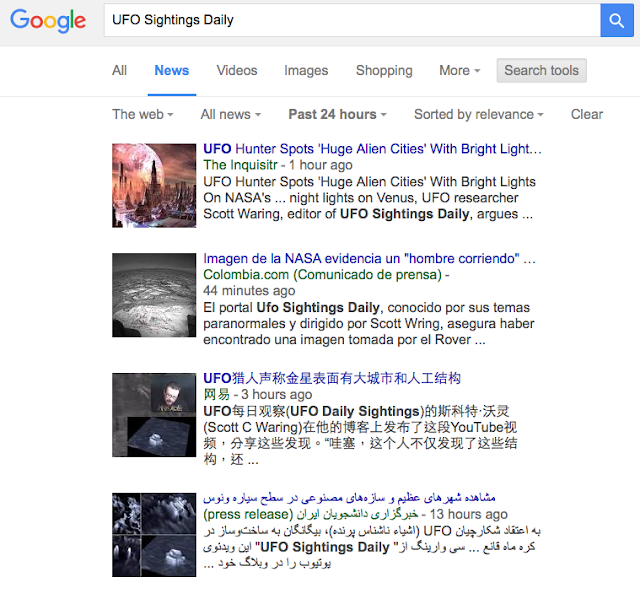 To prove it, go to google News, search UFO SIGHTINGS DAILY, then press the search tool button. Then press 25 hours. Now you will see all the articles we are in. As of writing this post, we are only in 4 newspapers today. From China, Colombia, India and America. Its been this way for years...I just don't have time to make daily updates. Hey, this post made it into The China Times News and Taiwan Yahoo News! Hey, we were in the news at several major news sites this week. Oct 21, 2015. I just wanted to let you know that UFO research is being taken more seriously every day. The news is putting the truth out there for the public to see and we are getting recognition for our hard work. I hope this inspires others out there to do some of this type of research and start posting your discoveries on your sites. I hope you are the next one to get into the news. This Site Is On CNN Again! Awesome! UFO researcher are being taken more seriously every day, especially by the news media, so I had to record this for my site. Its great to see the public winning. Its not about me, its about UFO researchers in general. My site got into the news again and I just wanted to record them talking about it so I can put it on my site. 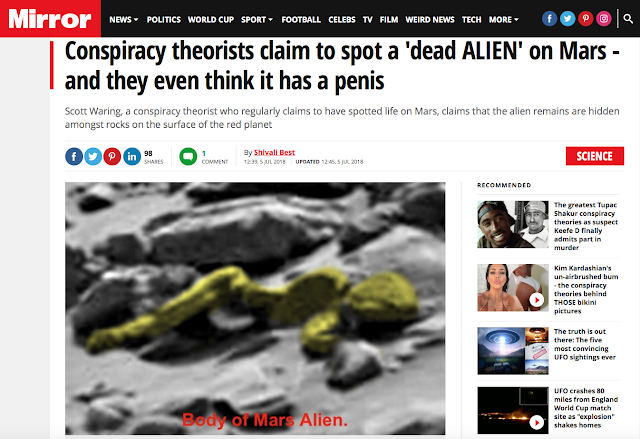 Its nice the news respects UFO research. We got into the Daily Mail UK news! April 20 2015. My site got into the Express in UK on April 15, 2015. So great the news takes UFOs seriously. 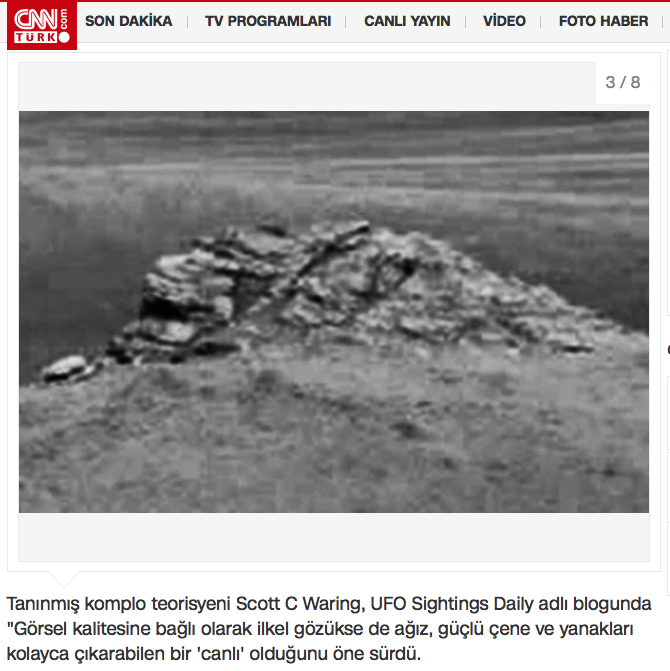 UFO Sightings Daily Gets On CNN Int Ed On August 16, 2014, UFO Sighting News. I am recording this for my readers, who may not have seen that we were on CNN again this week. Absolutely awesome that UFO sightings are getting into the media more and more each year. 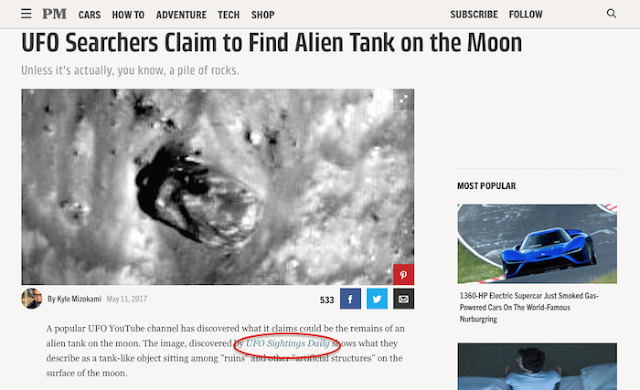 Sure the article is not flattering, but its not about good or bad, its about getting the attention of the public so that they are aware that UFO sightings can be seen and recorded using NASA space station live cam. 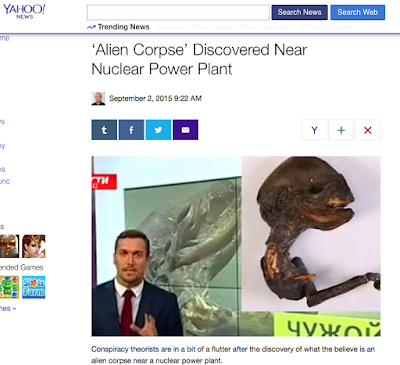 June 24, 2014: Got onto "Yahoo News," in England & Ireland. June 21, 2014: Got Onto "The Mirror" Newspaper in England! Hey, I was looking for some computer news and found an article about my site on Yahoo. It was written by Examiner.com and wow, they said a lot of really nice things about it. Hey, We Got Onto Taiwan News...My Home. 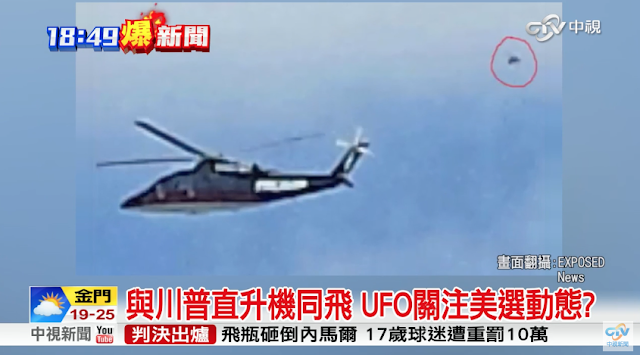 UFO over military base in Taiwan and face 11km from each other. Hi, I'm just had to share this so that others can see that UFO researchers are being taken seriously here in Asia. This video was shown on over 4 TV channels here in Taiwan and Yahoo TW News. 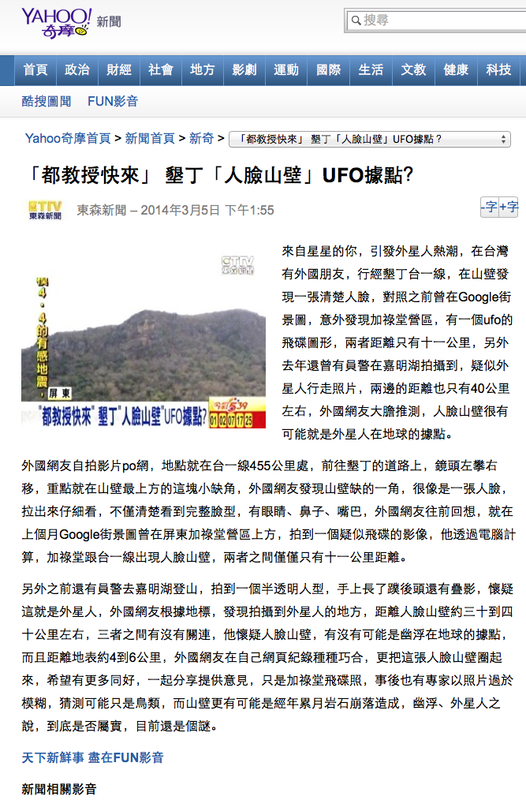 I was first in the world to report the Google UFO in Taiwan thanks to a reader telling me about it. Also My wife discovered the face in Taiwan only 11km from the place of the UFO. Yes...thats my big head in the video. We Got Onto UK International Business Times! Feb 20, 2014. I just wanted to record this so that maybe it will inspire more people out there to make UFO and paranormal web sites. UFO researchers around the world are being taken more seriously than ever before. This is our time, our moment to make a difference in this world and while doing so...raise the level of awareness of all of humanity. Maybe also, this will inspire other UFO researchers to assist in searching NASA, ESA, JAXA and other photo of heavenly bodies for alien evidence. UFO Sightings Daily Gets into Paranormal Magazine in Asia! 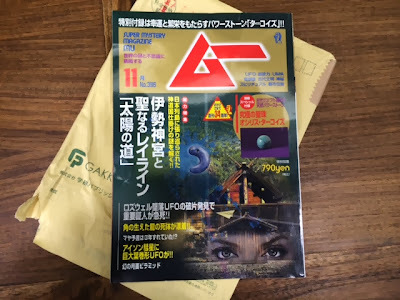 This just came to me in the mail today, a copy of a Japanese paranormal magazine with my site mentioned on the first page and one of our posts. I'm really glad to see that people in Japan like our posts here and feel very faltered that they mentioned us. November 7, 2013 UFO Sightings Daily got onto Fox News and they placed it under the science section. 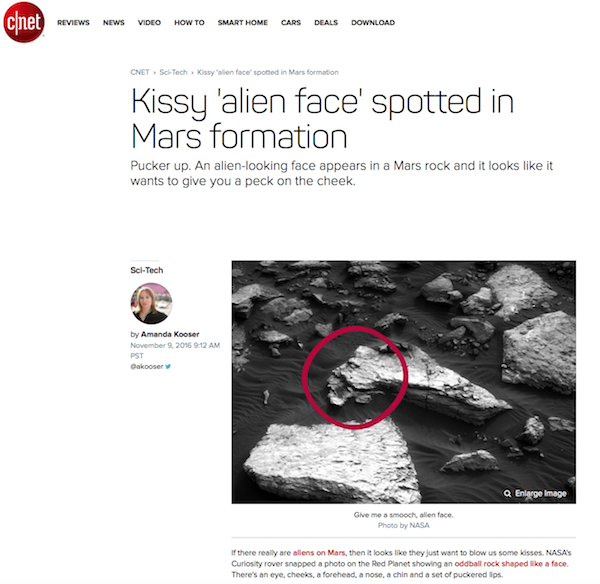 So great that a world famous news site takes UFO researchers so seriously. Here is the video of the story about the iguana on Mars. UFO Sightings Daily Gets on Fox News and they mention Scott C. Waring. 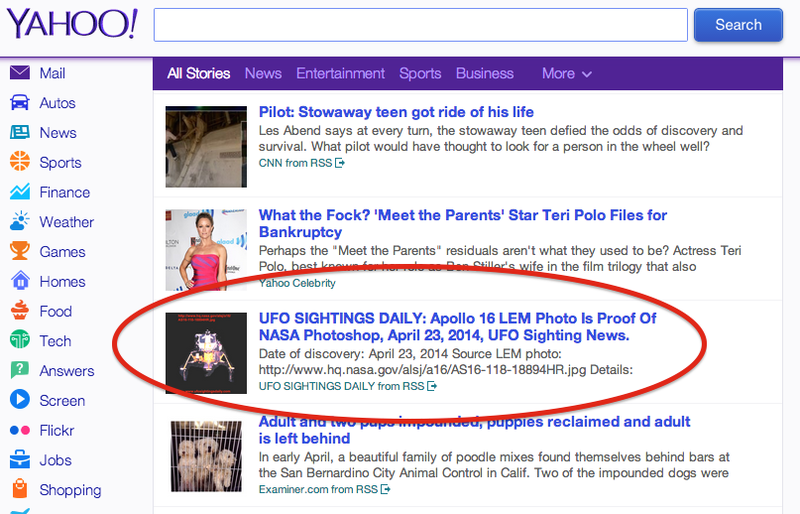 UFO Sightings Daily Gets On Front Page Of YAhoo News. 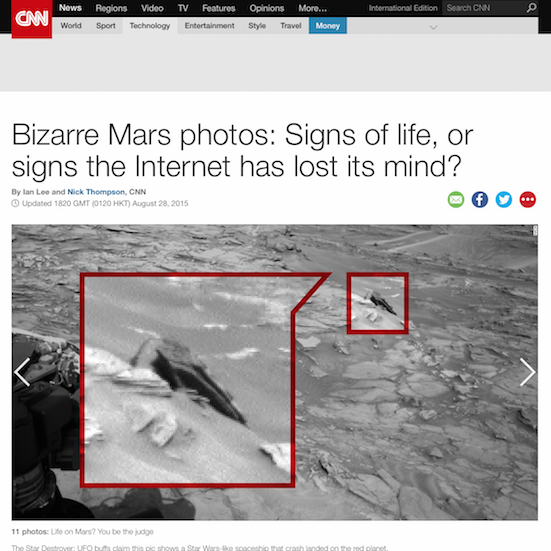 They talked about the unusual discovery of a rat on Mars in a Curiosity Rover photo. January 7, 2012, THE SUN newspaper in UK wrote about UFO Sightings Daily. The Sun is read by many, having an average daily circulation of 2,715,473 copies in October 2011. Jan 3, 2012 The Canadian Mentions UFO Sightings Daily. 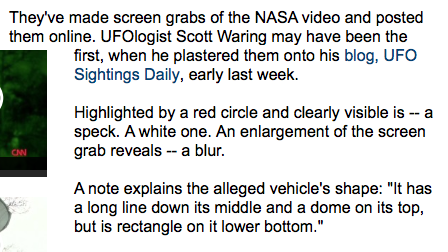 The Canadian, a Canada newspaper mentioned us again, talking about a triangle caught on a NASA cam approaching Earth. Scary news for 2012. This is not the first time they mentioned us but its more like the 7th or more. Here is their article below. Its very kind of them and please visit them sometime. January 1, 2012 Examiner Calls My UFO Sighting 1st of 2012! This was cool. Writer and UFO researcher Tracy Parece of Examiner called the UFO sighting video I made on my Galaxy Note phone the 1st UFO sighting of 2012 because the UFO was caught flying over the fireworks of the worlds 3rd tallest building. Very exciting. December 2011, CNN/NBC Talks About "UFO Sightings Daily." I was looking at a famous UFO researcher called on Youtube "Sheilaaliens" and noticed she uploaded a video by CNN and NBC that mentions my blog "UFO Sightings Daily." It was a big surprise to me, and a wonderful one. Here is the video below. Sorry the video below is not of the actually video broadcast, because the account of the person who hosted the video was taken down. I instead put the sighting by Shielaaliens below. Very sorry that they deleted the video but its cool CNN/NBC talked about us. 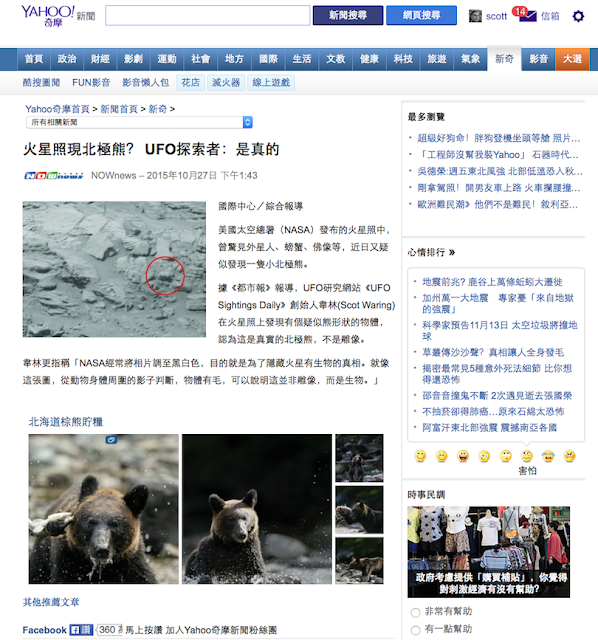 September 2011 "UFO Sightings Daily" Makes Front Page of YAHOO!!! I reported that Notre Dame Stadium Evacuated Twice due to UFOs And Lightning Strikes - Sep. 3, 2011, Yahoo liked it and put it on the very first page of Yahoo and it was up there off and on for close to 16-24 hours. That blew me away. September 2011, "UFO Sightings Daily" Gets On Sports Grid Site. Here I reported about the Notre Dame Stadium Evacuated Twice due to UFOs And Lightning Strikes - Sep. 3, 2011. Wow, since it was during a Notre Dame game, it captured the attention of lots of sports fans. Awesome.